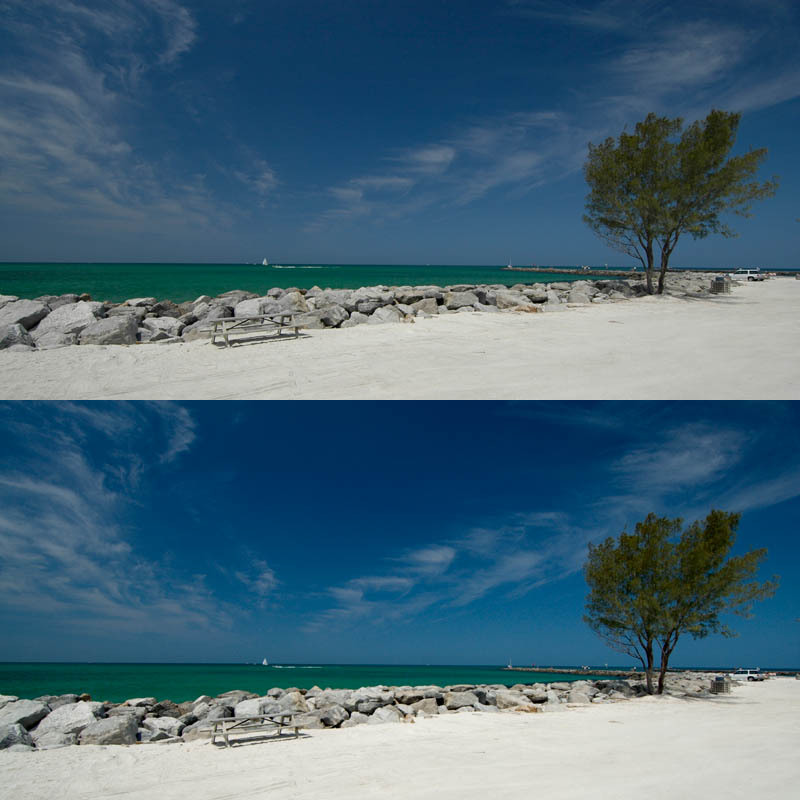 Do not be afraid to use a circular polarizing filter on a wide lens! Just use your head, or rather your eyes; if it looks good through the lens, then go for it! Top is cropped from 3008x2000 to 3000x1500 and resized, nothing else. Bottom is the same with some exposure and shadow adjustment. Taken with D70 12-24mm@12mm f/7.1 1/400s with circular polarizing filter.